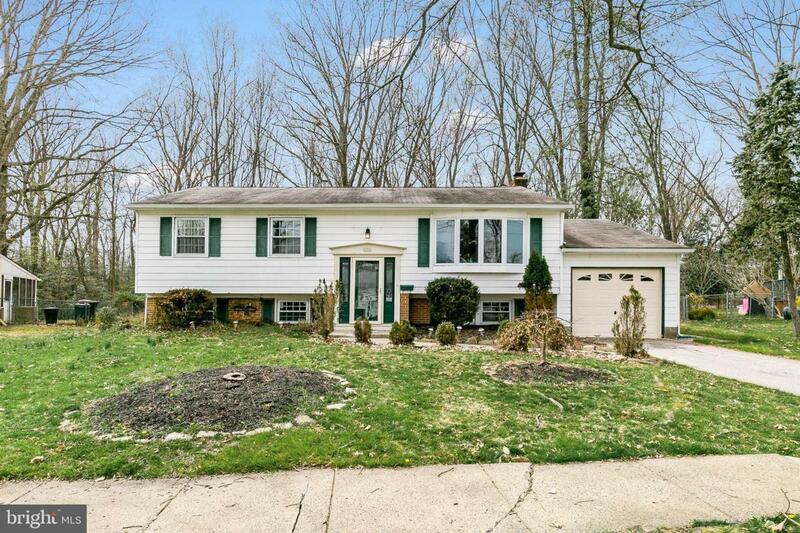 Spacious 4 Bedroom 2 Bath bi-level in the Timberbirch community of Gloucester Township. Lots of amenities throughout and impressive updates such as the Newly Remodeled Bathrooms, and beautiful hardwood floors on the main level which also run underneath the carpeting on this level. The HVAC was replaced 5 years ago, newer carpeting and fresh paint as well, remodeled kitchen with stainless steel appliances and also replacement windows. The main level upstairs offers 3 bedrooms and a full bath, a large living room and dining room just off the kitchen. The lower level provides a fourth bedroom and full bath, den , and family room, plus mud room space and extra storage...even a side staircase leading to the kitchen. Beautiful fenced in back yard surrounded by mature trees, a great spot for summer entertainment and play. Make your appointment today!